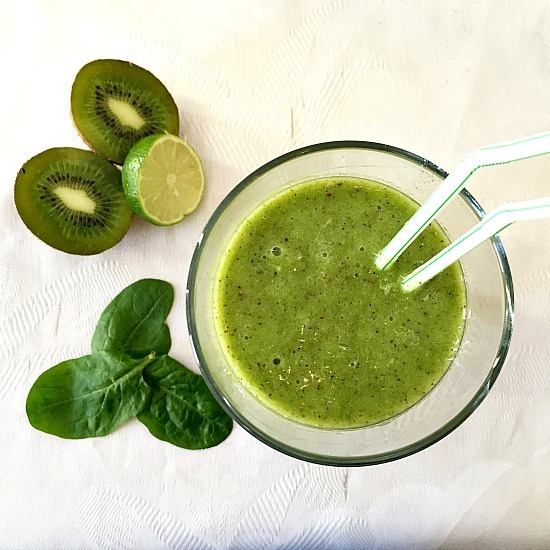 Lime Kiwi Spinach Smoothie, a delicious drink loaded with all the nature’s goodness. It’s got all the vitamins and minerals you can think of, plus it’s diary free, making it suitable for vegans too. This is really a magic drink! It might be the season to be jolly, but unfortunately, it is also the cold and flu season. All sorts of nasty viruses are determined to chain us to bed. So, what’s to be done? Well, better to prevent than treat, right? Eat well, keep hydrated ( even if it’s not hot outside) and eat plenty of seasonal fruit and vegetables. I love kiwi, and they taste so much better in the cold season. I do prefer buying ripe kiwi, rather than the cheaper ripen at home stuff that can take ages to get to the juicy and sweet stage l want. And, luckily, supermarkets always have fresh spinach in stock, so that should be easy to find. I know that some people either love or hate spinach, but trust me, you can’t even tell there’s spinach in this smoothie. 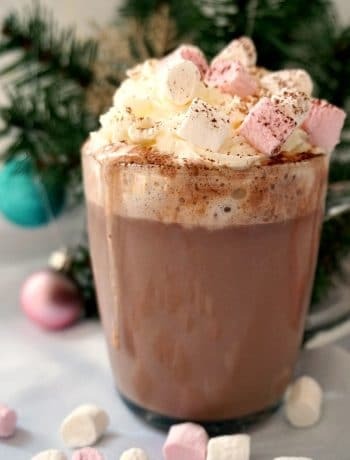 Now, you can, of course add milk to it if you choose, or the dairy-free alternatives, be it soya, coconut or almond milk, but l really like just adding juice. I opted for orange juice, but anything else is absolutely fine. And please, don’t spoil such a dream smoothie by adding sugar, that’s the biggest no-no from me! And do you know what is the great thing about this smoothie? Even kids will be more than happy to give it a go, and they won’t even know it’s got spinach in it, in case you have picky eaters who won’t even touch spinach. Spinach can be replaced with kale, in case you prefer that one. Serve it for breakfast, or at any time of the day, and you know you’ve got a nice boost of energy. Why buy cheap bottles of juice that are loaded with added sugar and have little to no real fruit in it? Not only you get zero benefit from those drinks, but you are also giving your body empty calories. 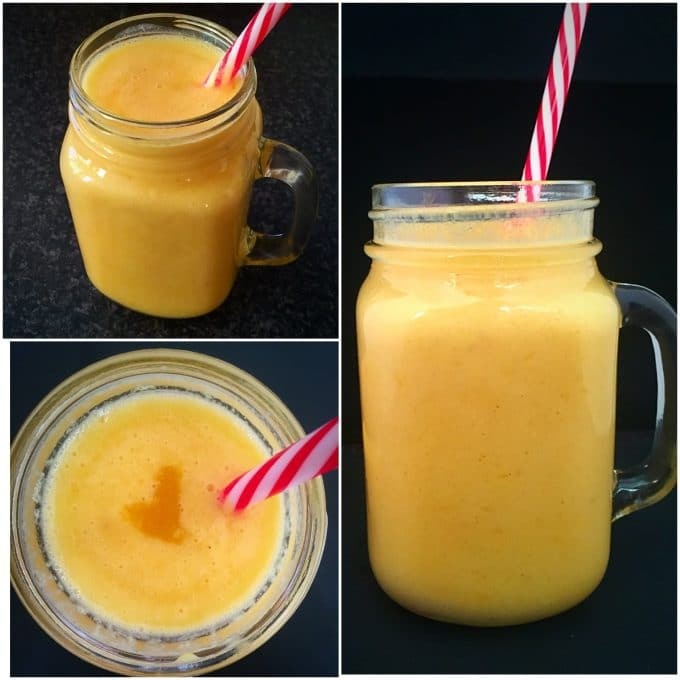 And there you have it, a nice smoothie to keep you going no matter the season. Healthy, tasty and filling so. And ready in seconds! 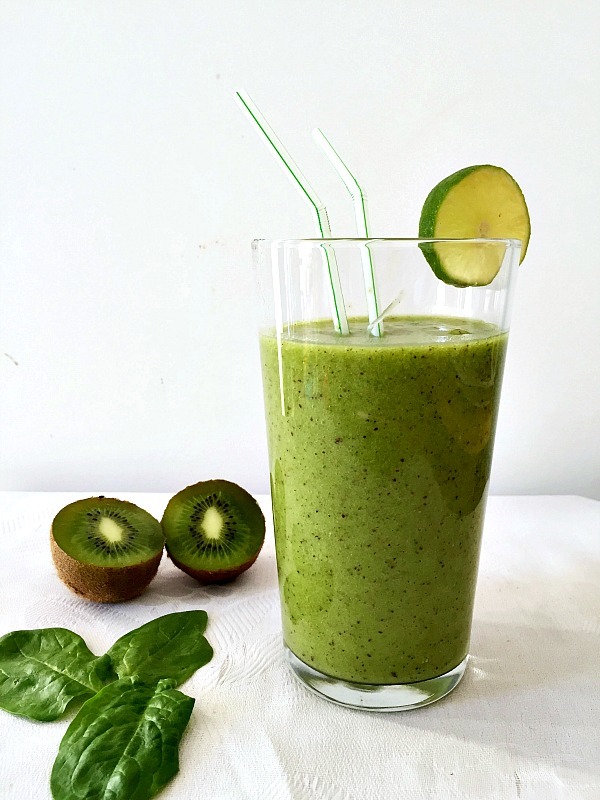 All you have to do is blend together the kiwi, banana, lime juice, orange juice and spinach together, and job done! 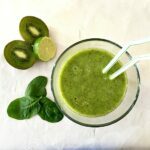 If you’ve liked my LIME KIWI SPINACH SMOOTHIE or any other recipe on the blog then don’t forget to rate the recipe and let me know how you got on in the comments below, I love hearing from you! You can also FOLLOW ME on FACEBOOK, and PINTEREST to see more delicious food and what I’m getting up to. 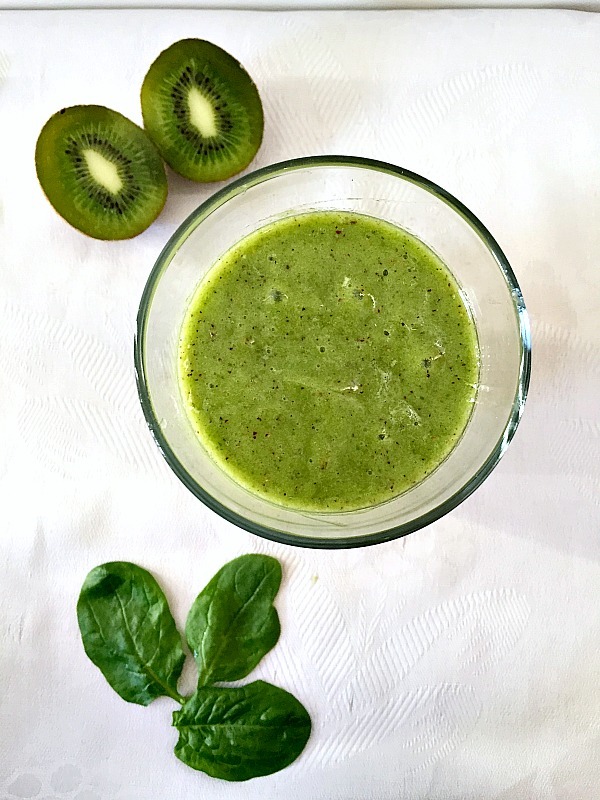 Cold-Busting Lime Kiwi Spinach Smoothie, a delicious drink loaded with all the nature's goodness. It's got all the vitamins and minerals you can think of, plus it's diary free, making it suitable for vegans too. This is really a magic drink! Peel and cut the kiwi in quarters. Add all the ingredients to a blender and blend until smooth. 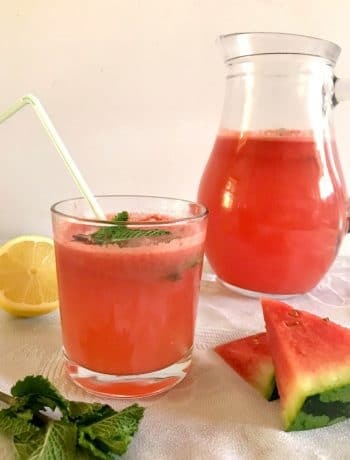 A lovely colourful and healthy smoothie, Daniela. I don’t like eating kiwis that are too ripe, and this looks a great way of using the over-ripe ones. It’s also full of vitamins, so an all round winner.